Our dental clinic can be found in this spa – a world-famous spa with more than 200 years’ tradition, where everything is linked to the thermal lake, waters and the curative mud. The Thermal Bath of Hévíz is awaiting the bathers and those seeking recovery. Besides traditional therapeutical treatments, which date back to 200 years, everything is given to have the best possible chances for healing and preventive therapies under undisturbed, favourable conditions. Hévíz is a peaceful small town, an ideal place for recreation and healing. You can find wonderful parks lined with ancient trees, flowers where you can take a stroll along the walks, paths and hiking routes to make you forget the monotony of everyday life. Not far from Hévíz can be found Lake Balaton, the largest lake of Hungary, an ideal destination for bathers and tourists who love cycling, hiking – a kind of active holiday. 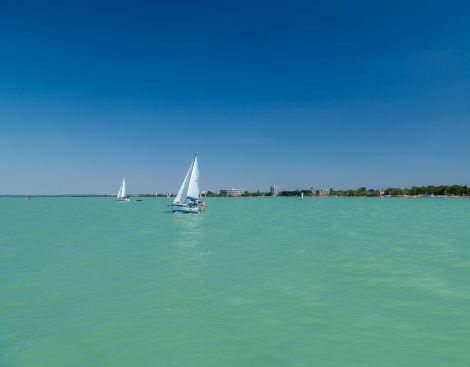 The “capital” of Lake Balaton, Keszthely lies 8 km from Hévíz, famous for its beaches and cultural programs. Besides the beaches and 14 museums, you can see the 3rd biggest stately home in Hungary – the home of the Festetics Family. If you love hiking and challenging tours, you can enjoy the beautiful panorama of the lake from the look-out towers along the way. In the summer, naturally, going to the beach is the most popular form of relaxation. Hévíz and its surroundings offer countless cultural and free-time programs to visitors. There is an endless list of concerts, exhibitions, theatrical performances and other programs. Hévíz can easily be reached from the airports of Vienna and Budapest – it is about 2.5 hour’s drive away. Our Dental Clinic offers a comfortable transfer for patients using air-transport, so – during the time of your treatment you can avoid the crowded and bustling city. This short drive is worth considering – not only because of the calm and tranquil atmosphere here – but also because our prices are nearly 50% lower compared to those in Budapest. Patients arriving in their own cars will have free parking when they find accommodation in places we offered and provided.